The Luxembourg Stock Exchange, LuxSE (French: Bourse de Luxembourg) is based in Luxembourg City at 35A boulevard Joseph II. The Chairman of the Board is Frank Wagener and the President of the Executive Committee and Chief Executive Officer is Robert Scharfe. The Exchange has pre-opening sessions from 07:15am to 09:00am and normal trading sessions from 09:00am to 05:35pm from Monday to Friday included, except for holidays declared by the Exchange in advance. A law establishing a stock exchange in Luxembourg was passed on 30 December 1927. The company was incorporated as Société Anonyme de la Bourse de Luxembourg on 5 April 1928, with an initial issue of 7,000 shares, each valued at 1000 francs. In March 2014, LuxSE moved to its new headquarters – the Aurora building– erected in line with the green construction concept. In 2015, the exchange celebrated the 10th anniversary of its Euro MTF Market. In November 2000, the LuxSE signed a cooperation agreement with Euronext. As part of the agreement, trades in Luxembourg are generated through Euronext’s Universal Trading Platform (UTP) allowing existing Euronext members to activate a cross-membership status on our exchange. As of August 2016, the LuxSE has 53 members of which 28 have a trading status. There are nine approved market makers. The Luxembourg Stock Exchange specialises primarily in the listing of international bonds, in which it ranks first in Europe with 25,831 debt securities listed as of August 2016. In 1963, with the issue of Italian Autostrade bonds, it became the first exchange globally to list a Eurobond, an international bond denominated in a currency not native to the country where it was issued. To this day, Luxembourg has maintained a dominant position in European bond issues with approximately 40% of all cross-border securities in Europe listed in Luxembourg. Over 70 countries list at least some of their sovereign debt in Luxembourg. Luxembourg is also a preferred debt market for supranational entities such as the European Bank for Reconstruction and Development, European Commission, European Investment Bank and World Bank. 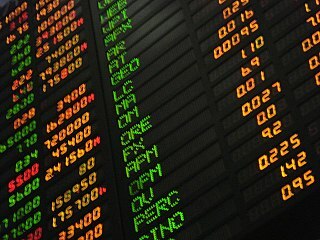 In 2007, the LuxSE was the first stock exchange in the world to list a bond labelled green, i.e. a "climate awareness bond"  issued by the European Investment Bank. In 2015, the Exchange listed green bonds worth $11.7 billion, followed by a $9.6 billion-worth issuance in the first seven months of 2016. Declaring the security green, based on the ICMA GBP or CBI taxonomy, or equivalent. During the application process the issuer has to clearly state the intended green nature of the security. Use of proceeds. Clear disclosure that the proceeds are exclusively used for financing or refinancing projects that are 100% green, according to the GBP or CBI eligibility taxonomy. Ex-ante review and ex-post reporting. Issuer’s commitment to provide both independent external review  and ex-post reporting. As of January 2017, LGX displays green securities worth over EUR 45 billion, including the world’s first sovereign green bond issued by the Republic of Poland. As of January 2018, LGX accounted for 50% of the world's green bond market, which represent 1% of the global debt market. ^ "Opening hours and closing days". www.bourse.lu. Archived from the original on 23 December 2017. Retrieved 26 April 2018. ^ "Luxembourg Stock Exchange" (PDF). PricewaterhouseCoopers. Retrieved 2014-10-29. ^ "LuxSE Lists EIB CAB as its 100th Green Bond and Confirms its International Leader Position", European Investment Bank, 2016-02-19. ^ "Green Bond Principles". www.icmagroup.org. Archived from the original on 5 June 2017. Retrieved 26 April 2018. ^ "Taxonomy". Climate Bonds Initiative. Archived from the original on 19 April 2018. Retrieved 26 April 2018. ^ External review prior to listing is accepted in one or more of the following forms: second opinion, certification, verification, rating report. It is used, amongst others, to assess the use of proceeds, the selection/assessment process, as well as the management of proceeds. ^ Ex-post reporting will be requested on a qualitative and/or quantitative basis as from the 12th month after listing of a green bond. Suggested frequency for ex-post reporting is once per year. ^ ""The Luxembourg Green Exchange lists 50% of the world's green bonds"". The Business Report. 22 January 2018. Archived from the original on 26 April 2018. Retrieved 22 January 2018. ^ "Luxembourg LuxX Index". Bloomberg. Retrieved 2007-08-19. ^ "LuxX Price Index - Luxembourg Stock Exchange". www.bourse.lu. Retrieved 2018-03-20. A capital market is a financial market in which long-term debt or equity-backed securities are bought and sold. Capital markets channel the wealth of savers to those who can put it to long-term productive use, such as companies or governments making long-term investments. Financial regulators like the Bank of England (BoE) and the U.S. Securities and Exchange Commission (SEC) oversee capital markets to protect investors against fraud, among other duties. The Tel Aviv Stock Exchange in Tel Aviv is Israel's only public stock exchange. Legally, the exchange is regulated by the Securities Law (1968), and is under the direct supervision of the Israel Securities Authority (ISA). Euronext Dublin is Ireland's main stock exchange, and has been in existence since 1793. The Colombo Stock Exchange (CSE) is the main stock exchange in Sri Lanka. It is one of the exchanges in South Asia, providing an electronic trading platform. The headquarters of the CSE have been located at the World Trade Center (Colombo) Towers in Colombo since 1995 and it also has branches across the country in Kandy, Jaffna, Negombo, Matara, Kurunegala, Anuradhapura and Ratnapura. The Colombo Stock Exchange (CSE) has 296 companies representing 20 business sectors as at 3 August 2015, with a Market Capitalization of Rs. 3115.52 Bn. The Nairobi Securities Exchange (NSE) was established in 1954 as the Nairobi Stock Exchange, based in Nairobi the capital of Kenya. It was a voluntary association of stockbrokers in the European community registered under the Societies Act in British Kenya. Ho Chi Minh City Stock Exchange or Ho Chi Minh Stock Exchange, located in Ho Chi Minh City, is the largest stock exchange in Vietnam. Established in 2000 as the Ho Chi Minh City Securities Trading Center (HoSTC), it is an administrative agency of the State Securities Commission, along with the Hanoi Securities Trading Center. The stock exchange is located at 45-47 Ben Chuong Duong, District 1, Ho Chi Minh City, Vietnam. The current top executive of HSX, with the title of Deputy Chairman, is Mr. Tran Dac Sinh. Euronext Paris is France's securities market, formerly known as the Paris Bourse, which merged with the Amsterdam, Lisbon, and Brussels exchanges in September 2000 to form Euronext NV, which is the second largest exchange in Europe behind the United Kingdom's London Stock Exchange Group. Euronext Lisbon is a stock exchange in Lisbon, Portugal. It is part of Euronext pan-European exchange.